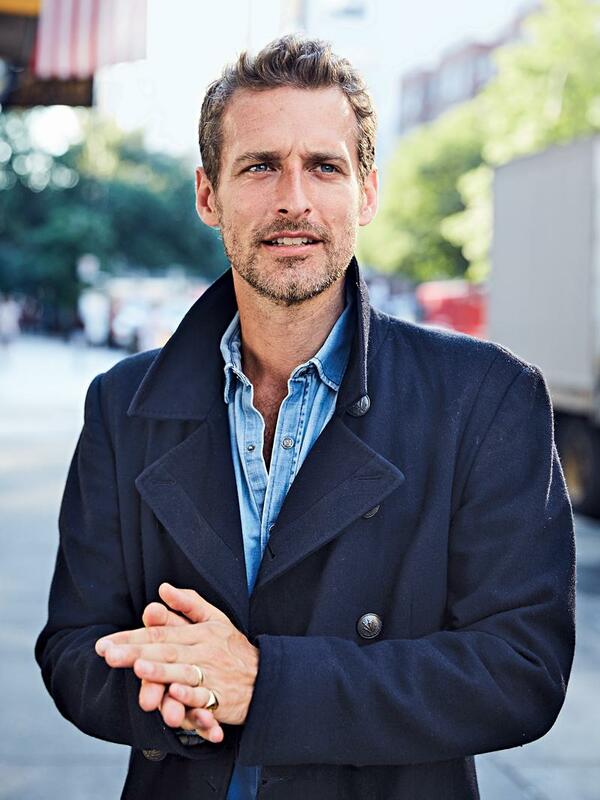 Alexi Lubomirski has long been revered as one of the fashion world’s most in-demand photographers. 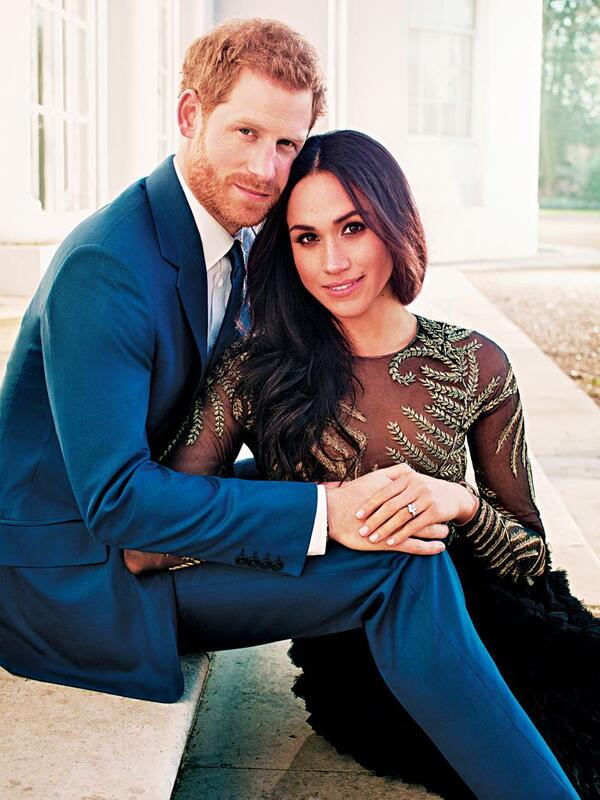 Now, thanks to his engagement pictures of Prince Harry and Meghan Markle, he’s a global sensation. The Daily sat down with the charismatic real-life prince. I have a Polish/French father and a Peruvian/English mother. I was born in London, raised in Botswana, and then moved around from Paris to Oxford to London and then ended up working for Mario [Testino]. Then I ended up in New York. It was only supposed to be for two years, and I ended up waking up one morning with a wife and kids. Now, I’ve been here for a decade! So let’s talk about everything in between! [Laughs] I think we’re good! I didn’t get everything I need! Where did your interest in photography begin? My stepfather had a camera and would take lots of pictures of us in Botswana, which always fascinated me. He got me a camera when I was 11, and I started taking photos of my brothers and sisters. I was hooked! I was an ambitious little monkey. I knocked on everybody’s door to ask people in the industry for advice. When I was completely downtrodden, [CLM agency founder] Camilla Lowther took pity on me and laughed at my work because there was a sense of humor about it. She didn’t think I was ready to be a photographer, but she knew Mario Testino was looking for an assistant. Two weeks later, I got the job. People skills. I was always a people watcher, because I was super quiet at school. I learned about how people behave with each other on set. Mario taught me to know when you had the shot and not labor over it. What did you do after your time assisting? One of my fashion fairy godmothers was Katie Grand. When I did my first test, I showed her the Polaroids and she put them in The Face magazine. It was my first published shoot. She booked me for a few more shoots and then Glenda Bailey called me one day and said we need to reshoot a cover in two days’ time, and we did it. That’s missing from your official bio! It was so inconsequential! Somebody said I could make some money modeling, so Boss Models took me on. After six months, I realized that [achieving success] was going to take a long time, and I didn’t have the patience. I think I shot two or three jobs. One was a poster for an AIDS charity, and one was a spread in a teeny-bop girls magazine. I didn’t get paid for either of them. I think I lost money in the end. Let’s talk about some of your work. Whose idea was it shoot Angelina Jolie with cheetahs for Harper’s Bazaar? I think that came from her camp. It was an incredible experience, because I flew two hours outside the capital city of Namibia, and there was nothing—I felt like I was flying over Mars. You could walk for days and still end up in the desert! The three cheetahs we shot were raised by the people on the reserve. They were used to being around people—it was bizarre. I was trying to get the right shot for the cover, and there was a cheetah licking my leg! You’ve worked with Julia Roberts on several occasions. We seem to get on! She’s so laid back and cool on set. The vibe is so relaxed. When she flashes that smile, everybody in the room goes, “Aww!” One of my friends said he didn’t realize I made it until he saw I shot Julia Roberts. She’s been in our lives for so long. 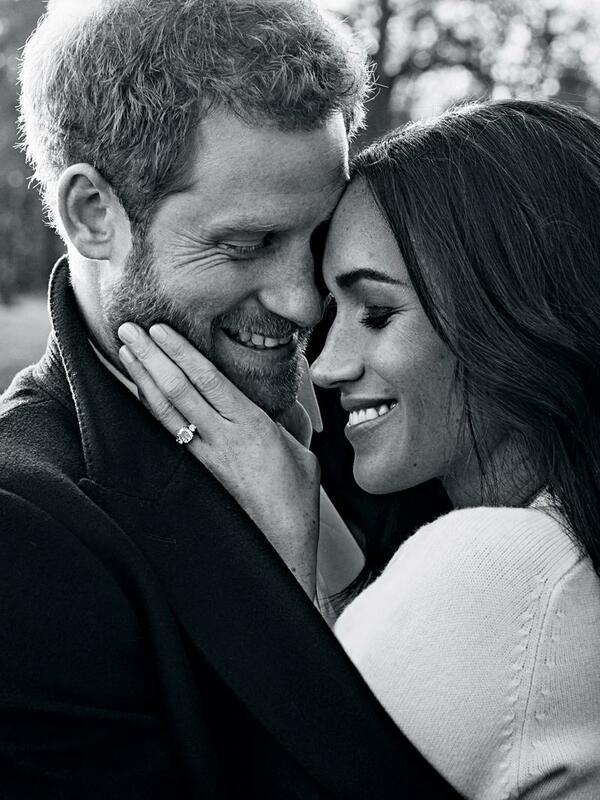 How did you end up shooting Prince Harry and Meghan Markle’s engagement photos? I’m only allowed to say what I said in my Instagram post, which is that it was a massive honor to shoot them. I felt very lucky to be a firsthand witness to their affection and be able to document it. Once the photos were released, you became a person of interest. Was that surprising? I presumed that I would get some press out of it, given that I was credited for the photos. I was so happy with the shots—the black and white close-up was such a departure, and not what people expected, so it sparked interest. It was humbling that my work was received so well. How did your friends respond to that moment? [Laughs] They were angry that I hadn’t told them that I was doing it! The day before I shot it, I lied to them all and told them I was doing a shoot with a celebrity for an Asian magazine. We discovered that you are also a prince yourself! My parents divorced when I was young, but my dad would write me letters and they would always be addressed to Alexi Lubomirski, and one day, a letter came addressed to HSH Prince Alexi Lubomirski. I showed it to my mom and she said, “I guess he wants you to know now!” When you are an 11-year-old boy and someone tells you you’re a prince, it’s fireworks! I was quickly doused by my mother, who said, “There’s nothing left—no palace, no money, no art, no armies.” My reaction was, “What’s the point of the title?” My wise, wonderful mother said that if you want to be a prince in today’s world, you have to be a prince in your heart and through actions. I didn’t take that on board that day because I was too disillusioned, but it stuck with me and was the impetus for the book I wrote for my sons, Princely Advice for a Happy Life. I rebelled against the title thing, because my father would tell me about it and it was this moral obligation to pass it on to his son. It was way too confusing for me. It wasn’t until I was in my thirties that I came around. It’s important to know where you come from. If I was to teach my sons about it, I didn’t want it to be a burden. I wanted to use it as a benchmark or standard for them to live up to. All those cliché characteristics of what a prince is: charitable, chivalrous, he protects the weak…which is essentially being a good guy. I have a very addictive personality, and I’m very gung ho about everything. If I party, I’m the best partier. Thank God my kids came along! I really delve into that side of things. It’s the best high you can get. I’m an overachiever, so when I’m at home, as soon as I wake up in the morning, I want to make breakfast, take them to school, and get them dressed. I travel, so when I come back, I want to be a 100-percent hands-on dad. I taught them to meditate. It’s so cool! I’m a hermit! I call it the Gatsby effect. New York is this huge party, but you can stay inside and watch it from the window. New Yorkers are such a big inspiration to me. If I’m not working, I’m concentrating on my family. When the kids are in bed, I work on my projects. Veganism is a big part of my life. One of the other projects that I work on is my YouTube channel. I try to educate and share knowledge and pull back the curtain a bit. Right now, at the same time as continuing to build a career, I want to try and use whatever influence or following I have to inspire positive change and raise awareness for issues. Working in this industry is a huge blessing. We get to create, travel, meet fascinating people, and influence tastes by what we create. However, this blessing should not come at the cost to others. There’s a responsibility to make this industry the best version of itself that it can be. We need to do away with fur and exotic skins, and constantly address the diversity issue. It should be tackled every month, in every magazine and campaign, where we ask ourselves if we are representing a balanced outlook. We should also continue to create greener shoots and make environmentally conscious clothing. No more emotional, physical, and sexual abuse in the workplace! We should all want to get to the end of our careers and be able to look back and say we made the right choices where it mattered and stood on the right side of the fence. Times are changing fast, and the old order is going to seem out of touch very, very quickly. Let’s make the right changes, move with the times, see beautiful results, and still enjoy the hell out of our jobs.